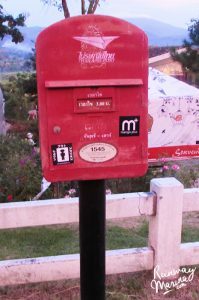 The farthest north of Thailand that I have ever been to was Pai. Yes, you read the name correctly and it pronounced the same with that particular food. Surprisingly we had a good time while we were there. 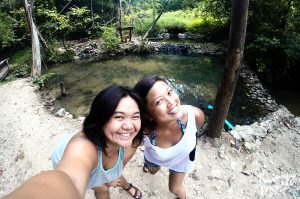 We decided to take the journey right away from Chiangmai by sharing a van to Pai. We had a good luck of finding the vans in front of Chiangmai train station. The journey took about 3 hours ride and as soon as we arrived, we rent a motorbike as it is the most convenient way to explore the place. 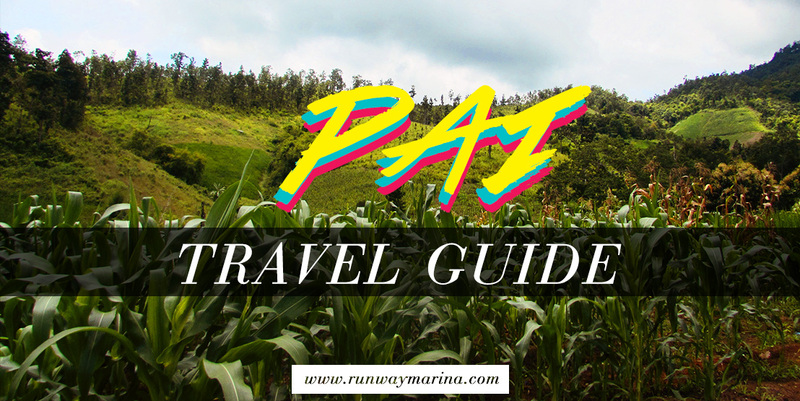 One thing you should know about Pai is a small town near the Myanmar border that was surrounded by mountains. 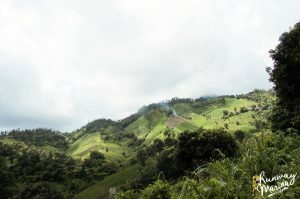 Many people even said that it was a backpacker’s mountain paradise. 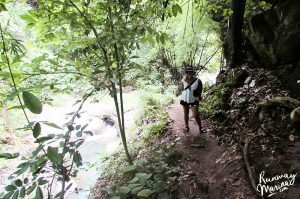 Nonetheless, I had such a good time exploring Pai with my good old travel buddy, Arma. 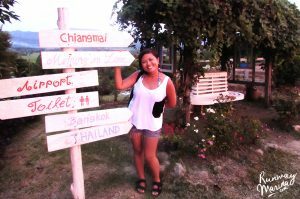 And so I have decided to compile good Pai travel guide for you to follow. 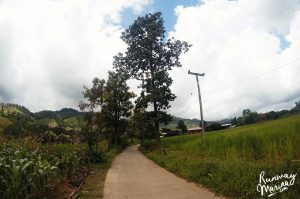 I only had a chance to explore Pai in one day while Arma decided to stay bit longer there. 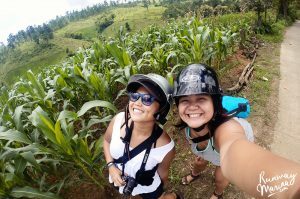 After we rent the motorbike, we decided to do a serious tour around Pai – not many of them were crossed off our list, but we had a good time and we also put some of other travellers recommendation to do. 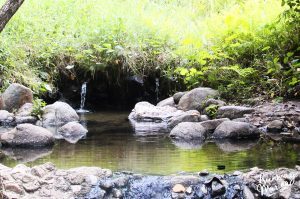 Once we saw the text on our map, “Natural Hot Spring” we knew that this has to be our first stop. And so we decided to went as fast as we could once we got the scooter. 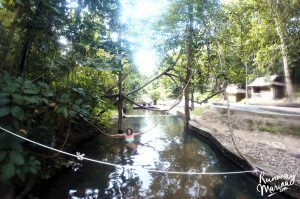 I realise that there were plenty of secret hot spring in Pai, but we decided to go to the closest one named Pai Hot Spring. The tickets were cheap enough as we got it for 300 baht per person. 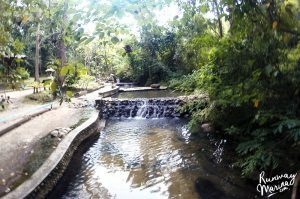 And exactly like its name, the hot spring was an outdoor pool with hot water and surrounded by the trees. Such a tranquillity! I wouldn’t mind visiting this place again in the future. The next day we decided to just go around the area and see the countryside by the scooter. 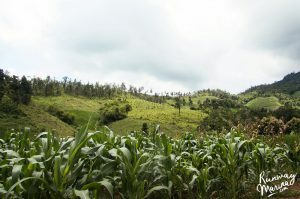 There were so many cute hills with corn, rice paddy and sunflower field. We couldn’t help ourselves to stop and get some selfie together! 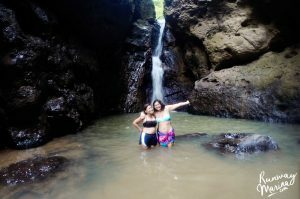 Most of the people we met recommended us to visit the waterfall, and so we went to two waterfall on that day. 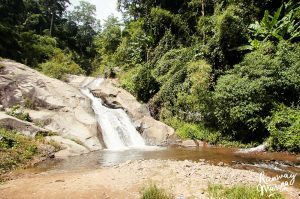 The first one we encountered was Mo Paeng Waterfall. 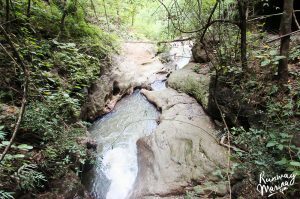 As we reached the place was too quiet and the slide were a bit dangerous, and so we decided not to take a dip here. And so after we moved on to the second waterfall, we were quiet satisfied. 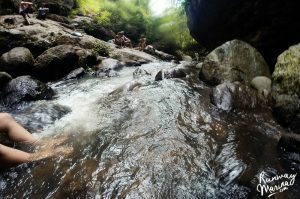 The Pam Bok Waterfall was smaller than Mo Paeng, and located into the woods. 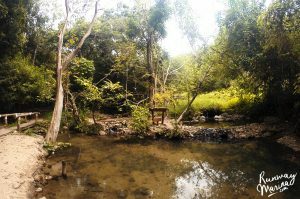 The place has some cool and calm aura that you cant resist! It’s not really a grand waterfall, but it’s a nice way to take a dip into the water and play around the rocks. My favourite part of Pai is strolling around the market at night. They have plenty of cute accessories, good food, and souvenirs that you just can’t resist. 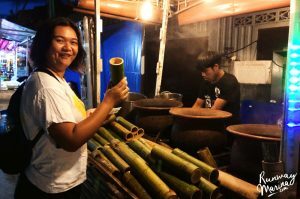 The Walking Street Market in Pai is located on Rungsiyanon Road which is the main road that you can easily spot on. 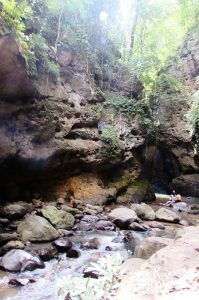 I didn’t get a chance to explore the caves and canyon, but some people recommend it (Sorry, I am not a fan of the mountain!). All these spots can be easily reached when you get on the scooter. Don’t worry, the signage is easy to find! 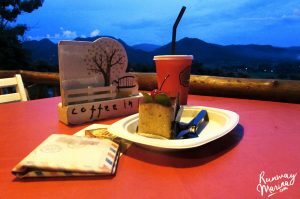 Another charming thing that you can do is to explore the cute cafes over the hills. 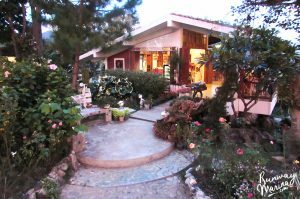 When you are on your way to see the waterfall, caves or the hot spring, you will immediately notice plenty of cute cafes on both sides of the road. 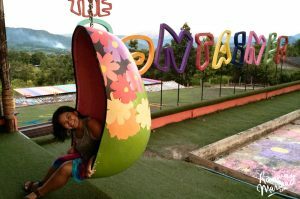 They surely offer the best view that you can get for Pai. My suggestion is to sit down during the sunset cos it surely a nice way to spend the afternoon! Rent a scooter is a must. 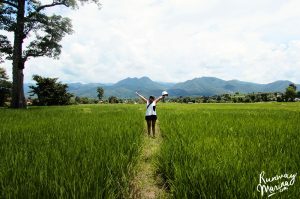 It’s the only way you can truly explore Pai and its countryside. 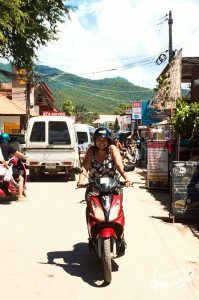 Once we arrived at Pai, we immediately rent the scooter that was spreading all over the town. Find a place with lots of tourists in it – cos I am sure they give you the best price! 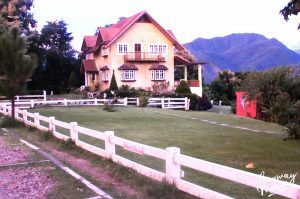 You can book the hostel through the apps, but it’s not a problem if you want to come down the main road and find the accommodation by yourself. The best way is to see the place with your own eyes. Prepare your bikini and swimsuit whenever you go, cos you never know when you can dip in!